Back in June, I got a sneak peek into Twitter’s new advertising platform. 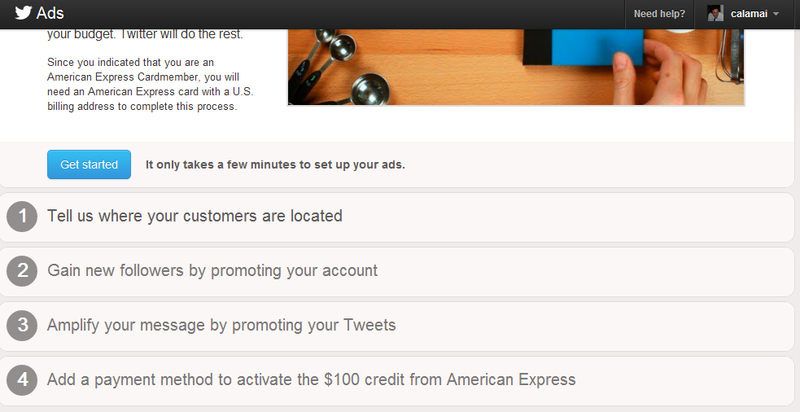 American Express ran a $100 free Twitter advertising promotino when you signed up for Twitter ads with your Amex Card. Smart promotion by Amex. By throwing you $100 (likely an amount split with Twitter), your credit card is set as the default payment method for all future Twitter Ads.With the average credit card holder owning 3.5 cards, it’s important for card companies to differentiate themselves and make sure all recurring charges (like your advertising spend) are made on their card. Twitter will promote your most popular tweets by displaying them in other Twitter user feeds. You’ve probably noticed these “promoted tweets” in your own feed. The owners of those tweets have a Twitter Advertising account and pay Twitter each time you click on one of the promoted tweets. Twitter will promote your account to other users in the “who to follow” section on the left hand side of your feed. This section is usually filled with people your friends follow or people that are similar to people you currently follow. Occasionally, you’ll see a “promoted account” which means the account owner has a Twitter Advertising account and pays Twitter every time they get a new follower. It’s very easy to setup and account and start running ads. I was able to signup, choose my settings and start running ads in 5 minutes. It’s the simplest setup process for an advertising program I’ve ever seen. You don’t have to “build” ads. Unlike Google AdWords or traditional advertising, Twitter Ads doesn’t require you to write advertising copy or design an actual ad. Twitter takes your everyday tweets and promotes them to other Twitter users. Most people are intimidated by Google AdWords because they don’t know if their advertising content is up to par. Twitter eliminates this barrier by promoting the stuff you’re already writing: tweets. Live statistics.Within seconds of activating my advertising account, I could see my tweets and account being promoted on the Twitter-sphere. It was really cool to see this in real time and not have to wait a few hours for a refresh of their reporting databases. Every time I refreshed my browser, the number of total impressions went up. My unscientific results saw 300 new impressions every 10 seconds. Within five minutes I had five new followers. Since advertising on twitter isn’t widespread, they have a huge amount of people to consume advertising and not many advertisers meeting that supply (good news for advertisers). 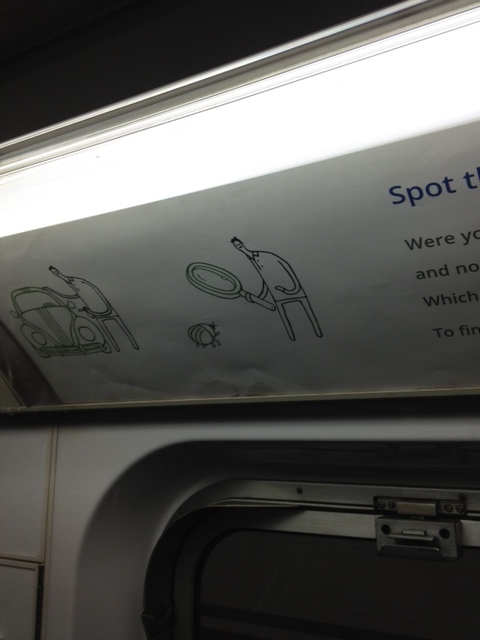 Limited Choices – Twitter currently has three options to decide who sees your ads. Country – pick a country (Brazil) or group of countries (Brazil, USA) to target. 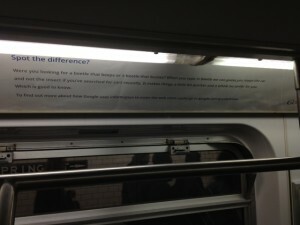 US Metro Areas – choose a metropolitan area (NYC,) or a grouping of them (NYC, Philadelphia) to show your Twitter Ads. This is weak. I chose the worldwide option, with the goal of testing how many people could see my ads and Twitter’s algorithm of determining good users to see my tweets. Sure, my tweets were displayed to thousands of people in minutes and I got 20 new followers…but most of them spoke no English and wouldn’t understand any of my tweets. Twitter has a ton of user data and they need to expose this to advertisers if they want to turn a profit. Google AdWords lets people choose granular options when deciding who should see their ads (e.g. mobile & table users, language, city and country exclusions). Twitter is super easy to setup but doesn’t give enough options for Advertisers to decide where their tweets are seen. Twitter should try to strike a balance between ease of setup and Advertiser control. Limited Reporting– Twitter only shows basic data on the performance of your ads. They’ll give you: total impressions (amount of people who saw your promotion), click rate (percentage of people who clicked on your promotion), and amount spent. Moreover, “detailed stats” is only available on your promoted tweets – not your promoted account. Twitter has a lot of data on the specific twitter user who interacted with your promotion. That needs to be exposed to the advertiser so they feel the true value of the dollars spent on advertising. Twitter Advertising is easy to setup and get started…about five minutes from signup to advertisements. The interface is smooth and all everything is explained clearly. It was cool to see my tweets promoted to thousands of people within minutes of initial setup. To become a legitimate advertising solutions, Twitter should dramatically improve the controls advertisers have over the users exposed to their promotions. It’s not cost effective to choose a country and hope Twitter magically picks the right person to show your ad. I’m not saying that there needs to be a thousand levers for advertisers to pull when setting up ads. Keep the setup process simple, but let advertisers take advantage of the trove user data available when making advertising decisions. Lastly, the way Twitter reports back the results of your ads should be beefed up so advertising teams can prove a Twitter advertising campaign was worthwhile. Check out this guest post I made over at Clueless Kitchen, a cooking blog for the rest of us. Spotted on Manhattan’s downtown 6 train this weekend: Google ad campaign explaining why collecting personal data makes their services better. Check out the full ad campaign. 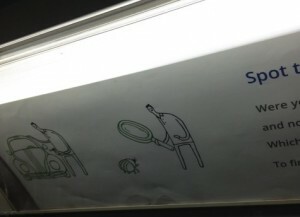 Smart move by Google and their ad agency to anticipate public reaction and craft an ad campaign to steer the conversation.